BendPak’s leaders are dedicated to the unified vision of the company. In other words, they work together—five days a week or more—to ensure the company’s ideals and processes are being upheld and executed to the highest degree. Often the first persons in the complex to arrive and the last to leave, BendPak’s executive managers truly lead by example. Each has a unique background and extensive experience within the company. By leading with the best, BendPak will always be the best. 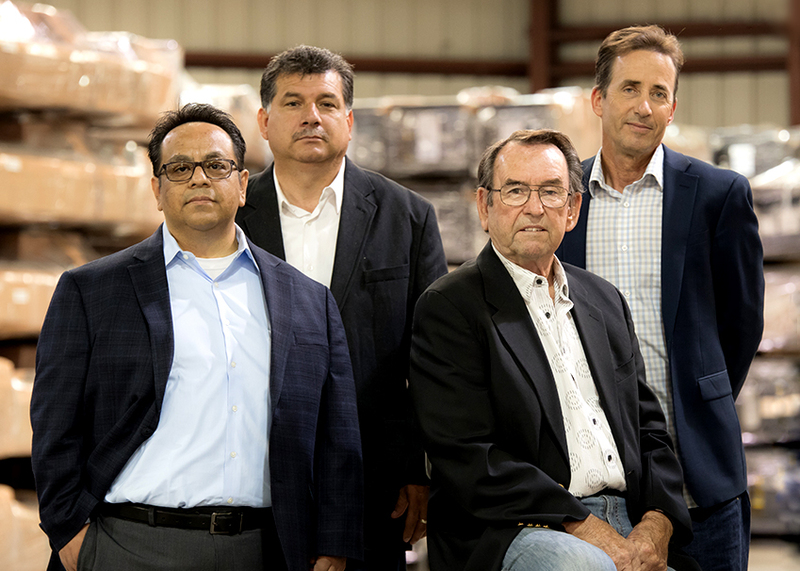 Led by the unrivaled experience of Don Henthorn, President and Owner of BendPak, our executive team thrives through innovation and expansion. Whether that means coordinating a new marketing strategy to reach new audiences, physically expanding our grounds to expedite shipping and receiving or engineering new products to bring to market, positive direction needs to start at the top. Their infectious enthusiasm of our leaders trickles down to the rest of the staff. ​Learn more about each member of BendPak’s elite executive staff. President and owner since the beginning, BendPak’s founder still represents us in the best possible way. Always open and receptive to new ideas, he’s the main reason the company has enjoyed over a half-century of success. Jeff is a multi-talented force in the office. He’s been here for over ​35 years and knows the industry inside and out. Equally dexterous as an inventor, marketer and mechanic, Jeff drives the creative end around here without ego. Another 25-year-plus veteran of the company, Javier heads operations at our home base facilities in Santa Paula. This is no easy feat, as there’s always a hundred-and-one things happening at once. He sets up the procedures for which inbound and outbound materials are accounted for and properly handled until delivery. Rudy heads our IT department and keeps all our servers and systems updated and secure. He’s the guardian of many schematics and patented trade secrets. Under his watch, we’re kept safe from the growing cyber threats that plague other companies around the world.